The season may be over for the Vegas Golden Knights but that doesn't mean that Gold Knights fever has lessened. In fact, it is inspiring many kids in the valley to hit the ice. 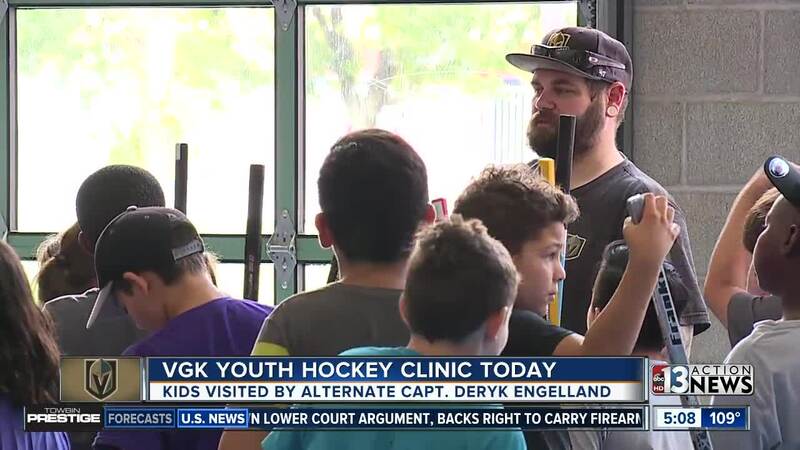 VGK hosted a youth hockey clinic on Tuesday and the young players got a special surprise -- a visit from alternative captian Deryk Engelland! And the excitement continues tomorrow. The Knights and University Medical Center will host 25 pediatric patients, showing them what it is like to be a Knight for the day.